Chaidh a’ cheud phort `s an t-sreath seo,“Memories of John W. MacEachern” a dheanadh le bràthair seanair Jackie, Dan Hughie MacEacharna. `S e an dara port, “Don Side,” air a leantail le “Hornpipe” a rinn Aonghas Sisealach. `S e an ath ruidhle “Paresis". Tha i crìochnachadh le ruidhle tradaiseanta, “Sally Gardens". This selection begins with a tune composed by Jackie’s granduncle Dan Hughie MacEachern entitled, “Memories of John W. MacEachern.” This air was made for Jackie’s grandfather. The second tune is a traditional strathspey called “Don Side." 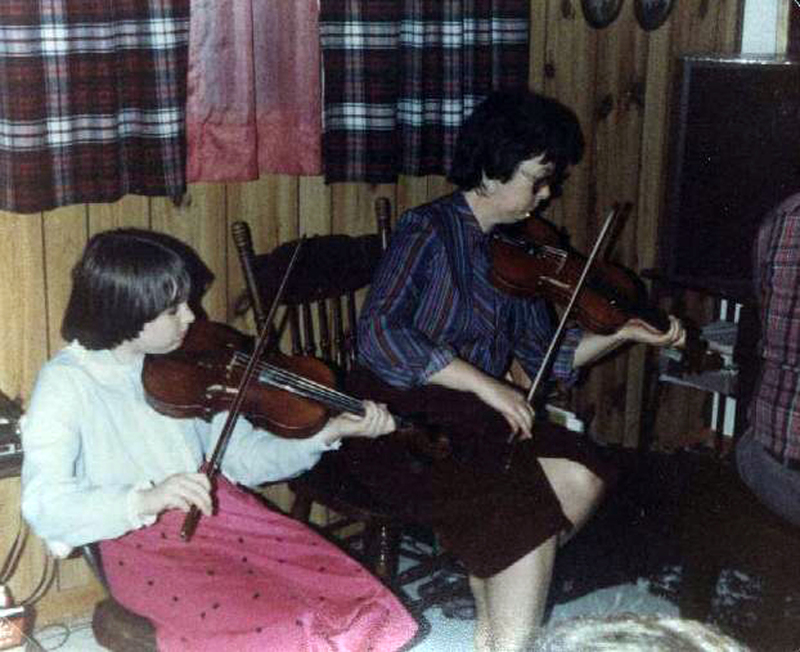 She follows with “Hornpipe” composed by Angus Chisholm and a reel called “Paresis.” Jackie wraps up the set with a traditional reel called “Sally Gardens." `S ann do Bhun na h-Aibhne Deas a bhuineas Jackie ni’n Sheumais Fraser (mac Fhraing Moses 'ic Sheumais). 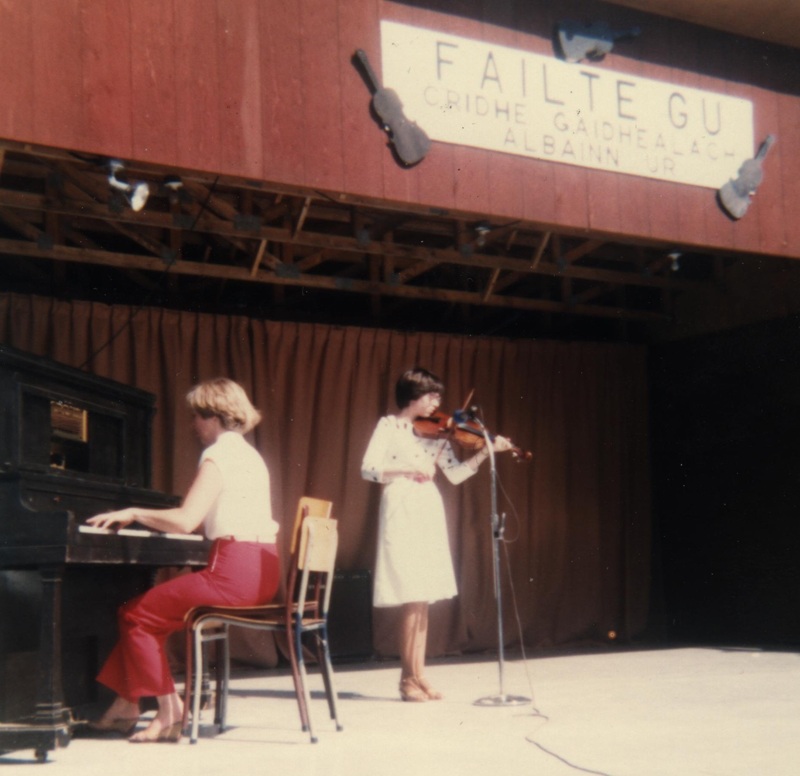 `S e ban-fìdhleir `s pianist air leth a th’ innte. Tha i 'na ban-sgoilear chiùil ann am Bail' Anndra. `S e a seanair, Iain Uilleam MacEacharna a dh’ ionnsaich leughadh `s a sgrìobhadh ceòl do Dhan R. Dòmhnallach. Dh'fhàs Jackie suas ann an taigh làn do cheòl. 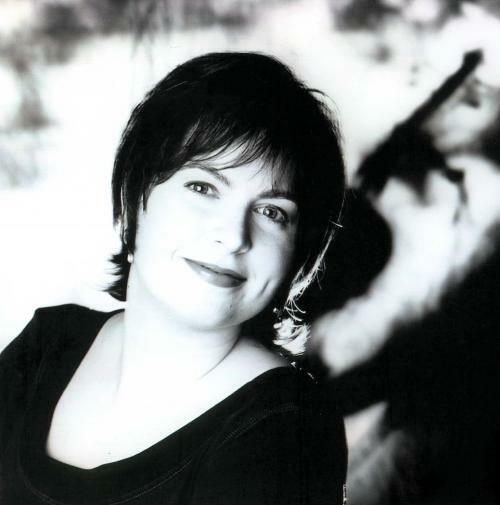 Jackie Dunn MacIsaac was born in Antigonish and grew up in Lower South River, Antigonish County. 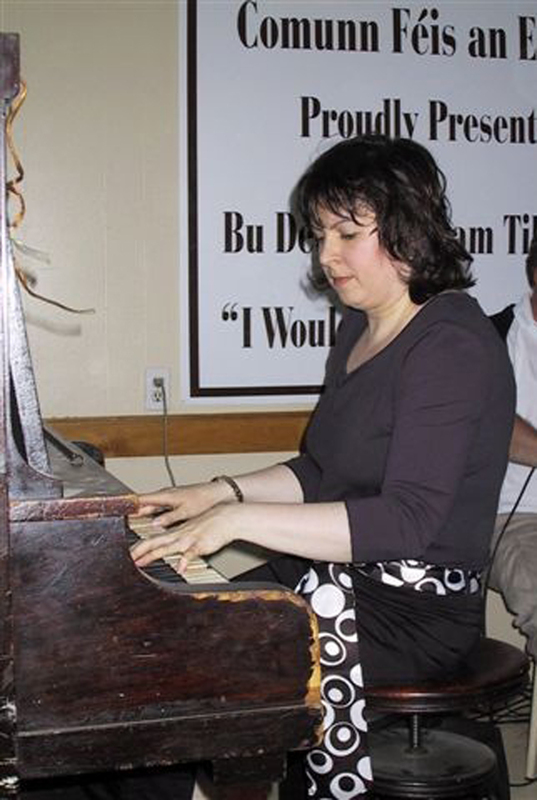 She is a well-known fiddler, pianist, step-dancer, music and dance instructor, composer and schoolteacher. Jackie is the daughter of James Fraser Dunn and well-known Cape Breton step dancer, Margaret MacEachern of Queensville. 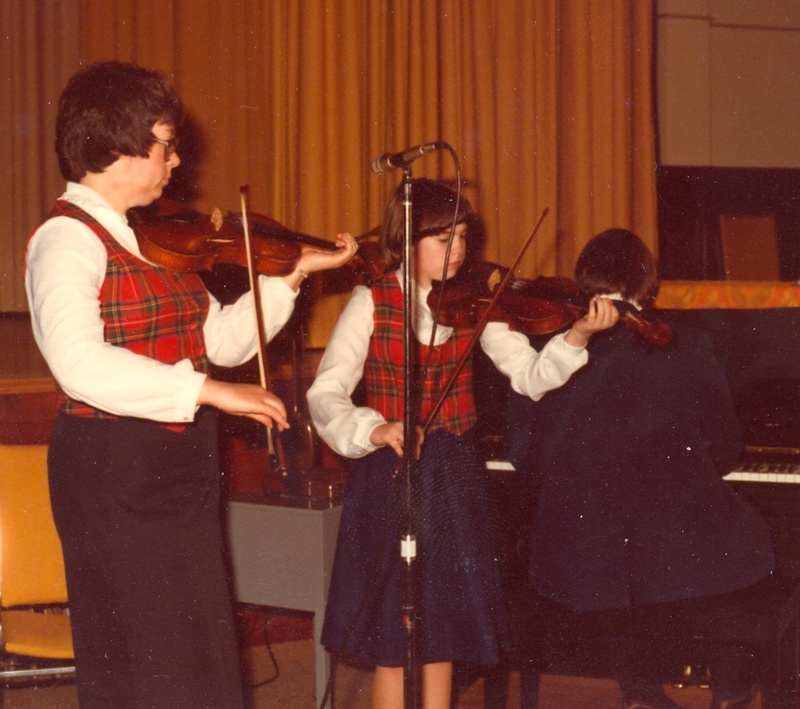 Jackie’s late granduncles Dan Hughie MacEachern and Alex Joe MacEachern, were both fiddlers and composers, and her grandfather, the late John Willie MacEachern, also a fiddler, is credited with teaching Dan R. MacDonald to read and write music. 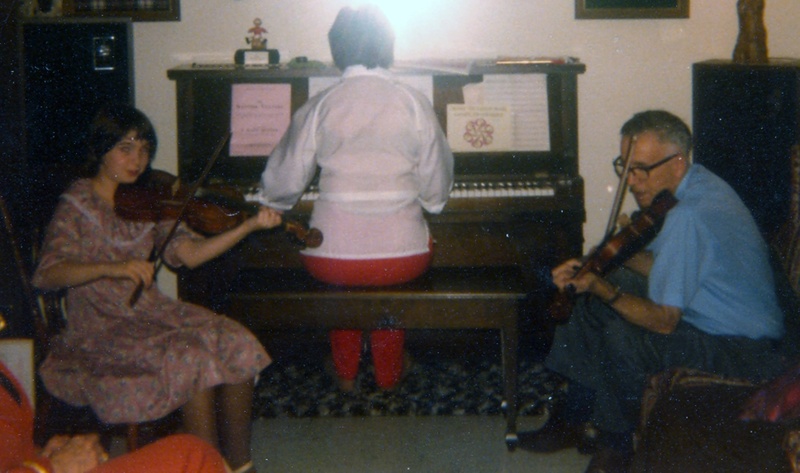 Jackie grew up surrounded by music and has been highly influenced by her granduncle Dan Hughie’s playing through her mother, who like Dan Hughie, had a keen memory and ear for tunes. 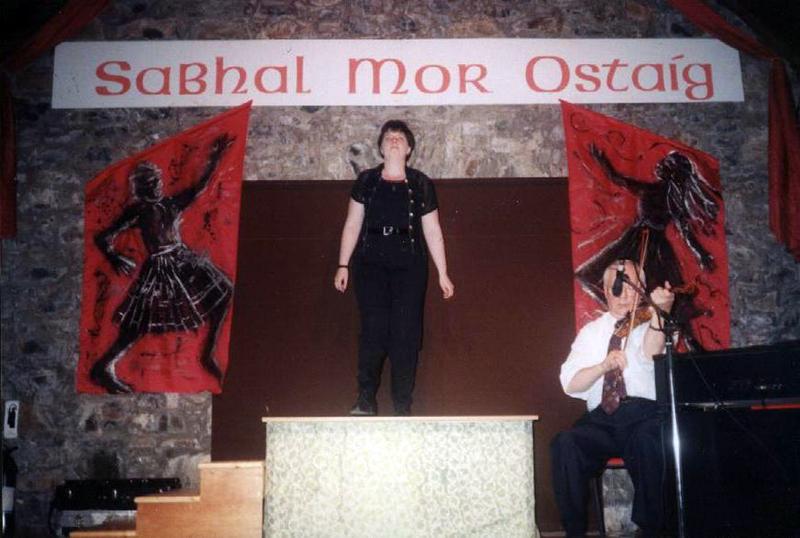 Margaret passed on to Jackie, through John Willie's, Alex Joe's and Dan Hughie's music and beliefs, that tunes should be played correctly and as they were always played in the Gaelic tradition. Jackie is related to many other Cape Breton musicians on both her mother and father’s sides. Her ancestors - MacEacherns, Frasers, MacMasters, MacDonalds, MacMillans – came from Lochaber District, Oban, Morar, Isle of Skye, Kintail, Beauly, Isle of Harris, Spean Bridge, Isle of Eigg, Islay and Moidart.